Y’all, The Boat People was in THE NEW YORK TIMES! “Just send me a couple of copies,” I said to my publicist. She sent 20. THE NEW YORK TIMES! 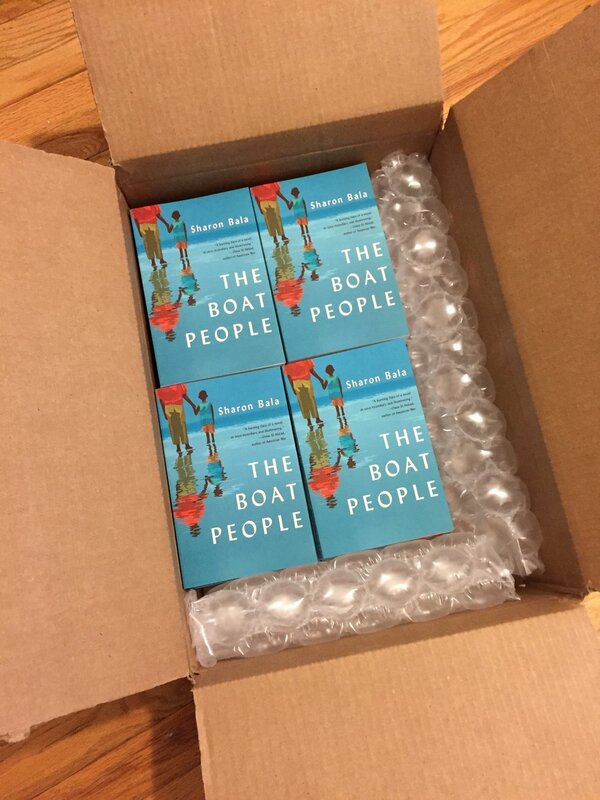 The Boat People was featured in the December 9th issue’s “new in paperback” section alongside Emily Wilson’s translation of Homer’s Odyssey and a non-fiction about the roots of the American asylum system. Appropriate, n’est-ce pas? The American paperback hit shelves this month and along with it came a small resurgence in publicity stateside, including the NYT mention, a lovely review in the Minneapolis Star Tribune, and some blog love too. And late last month, LitHub asked me to curate a list of “lesser known Canadian books.” So I wrote a short essay and threw together a book list, all the while cringing at the thought of the title LESSER KNOWN CANADIAN BOOKS AS CHOSEN BY TOTALLY UNKNOWN CANADIAN. But when the piece came out I laughed out loud (and totally approved) of the title they chose. The Great White North Isn’t So White. And speaking of lists, it is end-of-the-year round up season and The Boat People was one of several books on the CBC’s Best Canadian Fiction of 2018 list, 49th Shelf’s best fiction of the year, and the best books of the year list on Pickle Me This.